We offer plumbers to all of the Surrey area, who can promise a fast call out service and expert engineers. The engineers we employ make us proud on a daily basis, so you can be sure to receive a great level of service and industry leading after-sales support. PGS Plumbers are capable of tackling a number of different plumbing challenges and have the experience under their belts to never turn down a domestic plumbing job. The plumbers in Surrey that we employ have multiple years of experience, making PGS Plumbers a safe choice for all your plumbing and heating work. Homes throughout the Surrey area rely on PGS Surrey Plumbers for a full range of plumbing services. Our registered, highly-trained plumbers are on-hand to assist with all sizes and types of plumbing jobs – from small leaks to bathroom installations - and our customers appreciate our friendly approach and reliable manner. Our plumbers are experienced in bathroom fitting, repairs and alterations, and our customers throughout the Surrey area come to us for the quality of our work, and safe in the knowledge that PGS can provide good quality materials at the lowest cost to the customer. Whatever bathroom work you need done, PGS won’t disappoint. 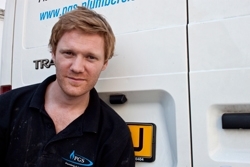 For plumbing emergencies, PGS Plumbers offer a round-the-clock service for customers in and around the Surrey area. We understand that you never know when an emergency might occur, and in these situations it is crucial to have a qualified professional available to deal with the problem immediately.